Does Your Home Need Light? Install recessed lighting into your Orange County home and give it a stunning new look and feel. Paul Jessome, electrical engineer, has been specializing in recessed lighting installation for over 15 years. Unlike many other lighting companies, Paul installs all the lights himself, ensuring that your job is handled personally and professionally. In addition to installation, he also specializes in the layout and design of home and office lights, so even if you are not sure of exactly where to place lights to make certain your home is left illuminated and aesthetically flawless, Paul is on standby ready to offer complimentary feedback and consulting. Paul uses the highest quality materials (Elite and Nora) to transform dull-lit, energy draining rooms into environmentally friendly living spaces with the perfect ambiance. Paul has always had knack for anything electrical. This passion led him to pursue and attain a degree in electrical engineering. He carries this electrical enthusiasm into each and every job he undertakes. 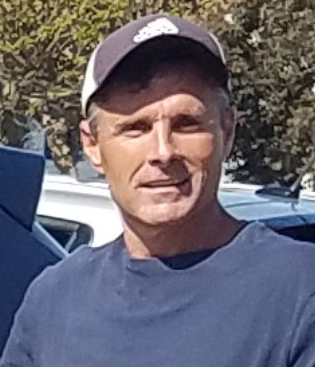 His favorite aspect of the job is adding value to the customers home by skillfully and efficiently installing state of the art lights, brightening both the lighting and the lives of thousands of homes in and around the Orange County area. Paul has successfully brought lighting to homes in Aliso Viejo, Anaheim, Brea, Buena Park, Costa Mesa, Cypress, Dana Point, Fountain Valley, Fullerton, Garden Grove, Huntington Beach, Irvine, La Habra, La Palma, Laguna Beach, Laguna Hills, Laguna Niguel, Laguna Woods, Lake Forest, Los Alamitos, Mission Viejo, Newport Beach, Orange, Placentia, Rancho Santa Margarita, San Clemente, San Juan Capistrano, Santa Ana, Seal Beach, Stanton, Tustin, Villa Park, Westminster, Yorba Linda. 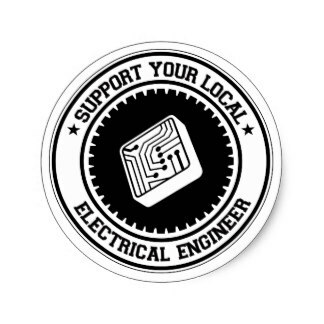 Why Hire a Master Electrical Engineer? Throughout Paul’s career as a lighting specialist, Paul has provided over 3,000 homes with immaculate, energy efficient lighting. Within the past 15 years, thousands of people have trusted Paul to brighten their bedrooms, bathrooms, study rooms, work rooms, and places of relaxation. Paul installs over 2,400 recessed lights every year. * As of today, nearly 40,000 of Paul’s signature lights illuminate the homes of happy customers all throughout Orange County. What is the Process for Installing Recessed Lighting? To add light and ambiance to the home, recessed or canister LED lighting are great solutions. These light fixtures are flush-mounted in the ceiling, providing light for general lighting or focused task lighting as needed. Many steps go into the installation of these lighting systems. 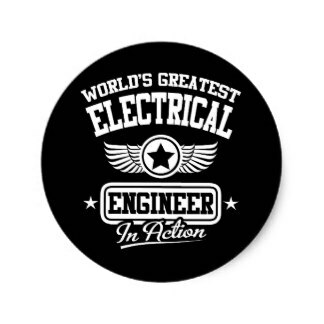 Our founder, Paul Jessome, has always had a talent for anything electrical. Over the past 15 years, he has become known in Orange County for his ability to transform home interiors with the highest quality of lighting equipment and installation. First, each home is different, and homeowners have different needs and desires for lighting their interiors. The first step, then is to carefully develop a design and layout plan. Each light fixture is placed to provide adequate lighting for specific interior spaces. For example, kitchens and baths may need task lighting, while family rooms and bedrooms may be better served with lighting placements that add ambiance to the space. With nearly two decades of experience, Paul has developed a keen eye for light placement and symmetry. He carefully evaluates the needs of each customer, creating a layout plan that works perfectly for each room of the home. Recessed LED fixtures come in many different sizes and configurations. Each is suited to unique tasks, such as providing task lighting for delicate work in the kitchen, office, or bath, or can be used to flood interior spaces with ambient light. High energy-efficient LED lighting is the preferred choice for many homeowners, helping to save energy costs. Paul uses only the best quality equipment from leading lighting manufacturers such as Elite and Nora products. Do We Offer Remodeling, Retrofits, and New Installation? Do We Install Ceiling and Ventilation Fans? Standard fans, with a downrod to allow installation on flat or sloped ceilings. These come in models with or without lighting fixtures. Low-profile fans, which are sometimes referred to as “huggers” or “flush mount” fans. These fans mount close to the ceiling and are ideal for interiors with low ceiling heights. Like standard fans, these can be found with or without lighting fixtures. Dual-motor fans, which have a central motor and two opposing fan heads. These are a great choice for larger rooms, and tend to be more decorative than traditional fan configurations. Outdoor ceiling fans, which are designed to resist exposure to damp or humid environmental conditions. Industrial/commercial ceiling fans. These fans are the giant cousins to traditional home ceiling fans, and may have a blade span of eight feet or more. These fans are built to withstand exposure to moisture or dust, and are suited only for the largest rooms with high ceilings. We have knack for ceiling fan design and layout, and can even help homeowners select the perfect ceiling fan for their specific décor and style. Ventilation fans can be found in homes across the country. These fan systems are typically located in kitchens or bathrooms, and are used to remove food odors, smoke, and moisture from the room’s spaces. Just like ceiling fans, these ventilation fans come in a dizzying array of choices, including models with integrated light fixtures. We help homeowners with layout and installation of these specialized fan systems, right down to the wiring and switches needed for their operation. With our exacting installation standards and the highest-quality materials and equipment, we have helped thousands of homeowners across Orange County with their air circulation needs. Ceiling fan and ventilation fan installation begins with layout, determining which fans should be used and where they should be located in a given interior space. Once the layout is completed, Paul roughs in the wiring, installs the fan(s) and lighting fixture(s), adds trim, and installs the switches or controls needed to operate the new fans. After the equipment is installed, Paul pays careful attention to cleanup. His commitment to customer satisfaction is unrivaled in the electrical business, and he works to ensure that each and every customer’s desires are met perfectly. What Types of Recessed Lights Do We Install? Basically everything. Any and all types of lights you might need for your home, office, interior, or exterior spaces. We understand the importance of knowing materials and lighting technology options thoroughly so that we can properly advise our customers of suitable and convenience options. Housing options primarily include new construction, remodel, insulation contact (IC), non-IC, airtight, shallow ceiling, and slope ceiling housing. Next we consider trim and style; Trim options include baffle trim, open trim, eyeball trim, wall wash trim, and shower trim. Depending on the style of your home, you may desire modern, contemporary, traditional, rustic, or victorian. Among the many light bulb selections are CFL (compact fluorescent light), incandescent, LED, halogen, and R-type light bulbs. Finally, materials are important due to the electrical and heat producing nature of lighting solutions. Size and shapes range from 4-inch, 5-inch, and 6-inch diameter fixtures, with varieties of circle, round, rectangle, slim, or beveled shapes. And don’t forget your dimmer switches and controls. Maybe you’d even enjoy a wireless remote control, voice control, or smartphone application enabled lighting option. Our family is so happy with the work that Paul did in our home. We hired him to install recessed lights in our living room, and from the start he was very helpful. We weren’t sure about placement or types, and he guided us through the whole process. Scheduling was fast and convenient, and the work he did was even faster. We thought it would take longer. Now our home is perfect! Paul helped us install ceiling lights in our kitchen and patio. From start to finish he was very professional, and very fast. The ceiling had no previous lights and now it looks like our home was originally designed with beautiful LED lights that dim. No traces of recent work, and he did a great job making sure that our furniture was gently covered and protected before starting. I called Recessed Lighting Co about 3 days before a big party I was planning to host. I was highly doubting that I could get new lighting installed before the event, but I was wrong. Paul helped me understand what was involved, gave me a very reasonable price, and showed up the next day. What I thought would be a multiple day process turned out to be only a few hours. So impressed. Just call because you will be happy you did. Guaranteed fastest and most affordable, with next day or at-your-convenience installation. Clean and professional work, while respecting your space and protecting your home. Servicing all areas of Orange County, Ca. Over 3,000 happy customers can’t be wrong! Get a Fast and Free Estimate by completing the online quote form, requesting a call back, or by simply calling Paul for an expert consultation. 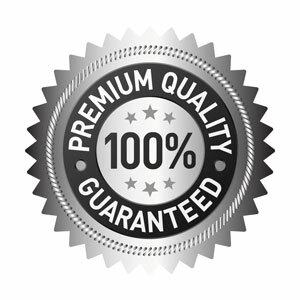 We only need a few simple details to prove that we offer the most reasonable price. Get Started Today by Requesting a Quote! Call or Click to reach Paul in seconds. Our contact forms and phone number go directly to his service phone, and he’s standing by to discuss your project. Whether you need materials and layout consulting, or if you are ready to book a job, Contact Us Today.